In March 2015, Bill Stefansic was working as a contractor on a job when the scaffolding collapsed beneath him. Just a stone’s throw away from the field where he’d watched his young sons play baseball over the years, Bill sustained a spinal cord injury that would change his family’s life. 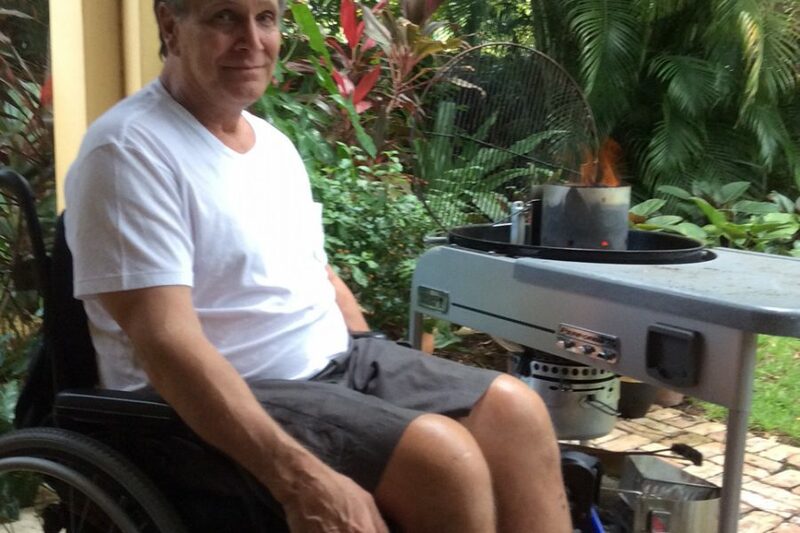 After more than 30 days in a coma, Bill woke up to his first day as a paraplegic. 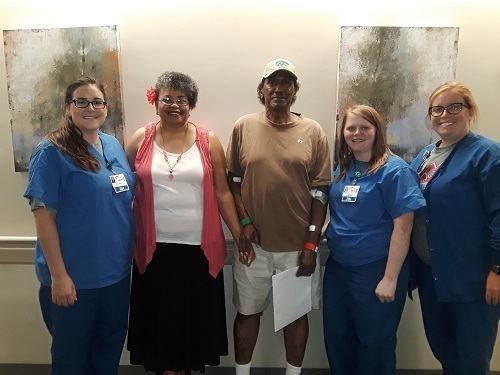 Fifty-two days later, he was finally able to leave the hospital and return home to his family to begin his new life. Bill’s wife, Jeanne, told us about the physical, emotional, and financial challenges of life after a spinal cord injury– and the important role of hope. “Like most people, until it happened to us, we never considered what it would mean for our family to cope with a traumatic injury and everything that follows. The physical part is easy to describe. When Bill was first injured and went into a coma, it was exhausting: everything from our sleep to our nutrition was affected. Emotionally, it’s harder to put into words. I was terrified. I had to ask a family member to travel to Florida to be with me, to give me some stability. My world was suddenly a new and frightening place. I kept it all together during the day, but when I found myself home alone, I was emotionally out of control. I am thankful for my family’s support. We drew our strength from family and friends, but also people I never would have expected to see who rallied and offered us their support. It was amazing. A mutual friend introduced a new person into my life: a woman who had traveled this road herself as a caregiver. She was a tremendous source of support and information. I remain grateful to every single person who touched my life at that time, to any degree. I must acknowledge, too, the importance of faith and prayer. I felt the impact of all the prayers that were offered on behalf of our family. When Bill could finally come home, it was a time of great relief – and (yet) more fear. I knew painfully little about how to care for Bill. I had to have help, and I had to learn so much, but I was still so glad to have him back. The biggest adjustments we had to make upon Bill’s return involved preparing our home for his mobility. Our house was two stories, and suddenly most of the house was basically completely inaccessible. I placed ramps at two exterior doors, moved a large table out of our home office entirely, and ordered an inflatable bed so that I could put Bill’s hospital bed in that room and sleep in the room with him. Next, I called a realtor and put our house on the market. There was no point in making alterations to a home that would no longer be affordable or easy to maintain by me alone. I made certain that emergency services were aware that someone with paralysis lived in our home. Once I was able to leave his side for short periods, I enabled emergency access through technology in case Bill was home alone and needed help. As Bill started to regain some independence, I started to move things around in our kitchen to place snacks, bottled water, and other basics in drawers at his level of reach. I wanted to enable him to begin to feel at home again, and to explore his increasing abilities. It was a huge adjustment to suddenly have a large number of people in our home: nurses, aides, etc. It was invasive as much as it was necessary and helpful. Ultimately, I chose to take over his daily care. That’s not for everybody, but for me, it preserves my privacy, and allowed our home to become quiet and peaceful again. It didn’t take long for us to realize the financial burden of Bill’s ongoing recovery. People were exceptionally kind: a number of friends sent us money right away. That gave us an immediate sense of comfort…to be able to focus on Bill without concern for the fact that his income had stopped short when he was injured (and I couldn’t return to work immediately, either). But their gifts were just aid in an emergency. There were many, many more expenses coming our way and much more would be needed over his lifetime. I didn’t know where it would come from. We learned there would be a number of things not covered by Bill’s insurance. The supplies necessary to maintain Bill’s care cost hundreds of dollars out-of-pocket per month. At the beginning of the year, we are responsible for a deductible in excess of $7,000, most of which we spend at the pharmacy on medications. 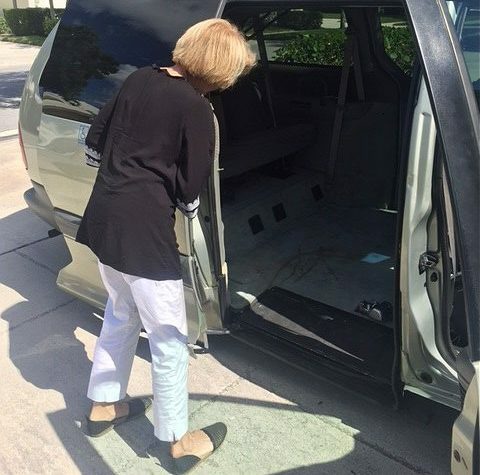 "When we were finally able to purchase a used accessible van, it gave us life!" Then there are mobility costs. 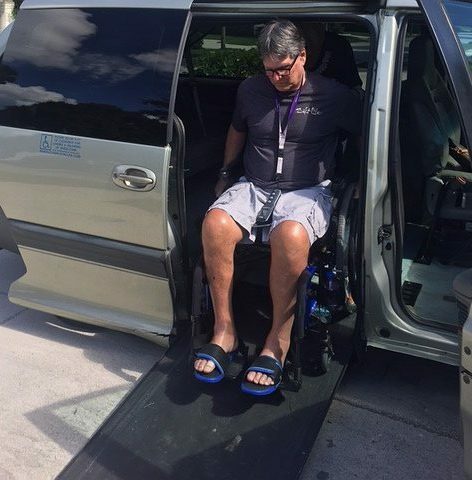 Bill’s injuries were not compatible with the wheelchair transportation option the county provided for us. We had to call for private wheelchair transport for doctors’ appointments, costing us $800 to $1,000 out-of-pocket per month. The cost was so prohibitive we couldn’t go anywhere together aside from to these appointments. When we were finally able to purchase a used accessible van, it gave us life! But it soon began to deteriorate, and parts for converted vans can be challenging to find. All these expenses add up. 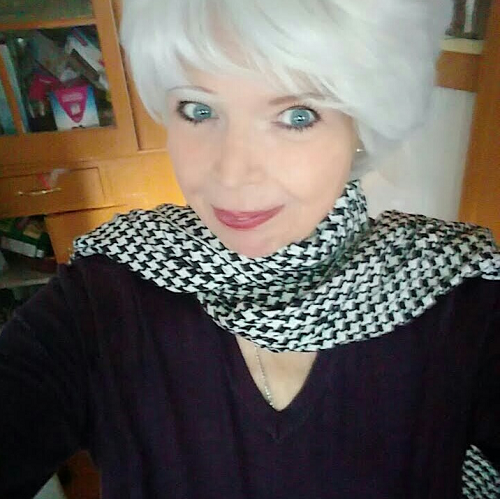 I was constantly ordering other new supplies like linens, clothes, new shoes in larger sizes, not to mention an increased budget for food as we managed Bill’s nutrition. 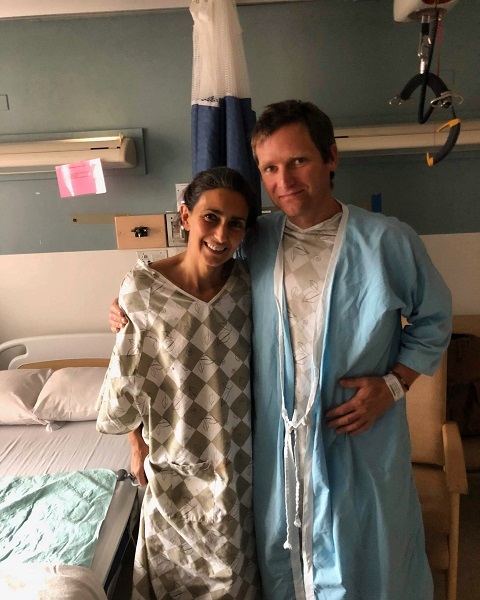 He had to have specific foods to cover the vast nutritional needs of someone living with his level of injury: three nutrient-dense meals per day, protein drinks, and supplements of all types. It was a year before Bill was well enough to begin an aggressive fitness program, and that’s when we realized fundraising with Help Hope Live could help. Bill suffered from multiple pressure wounds, infections, blood clots, and other health issues. In 2016, almost one year after his injury, he was cleared to begin a program at the Center for Neuro Recovery. Unlike a standard physical therapy program, this intensive program requires Bill to work out three hours per day for five days per week, working his upper body as well as his lower body. 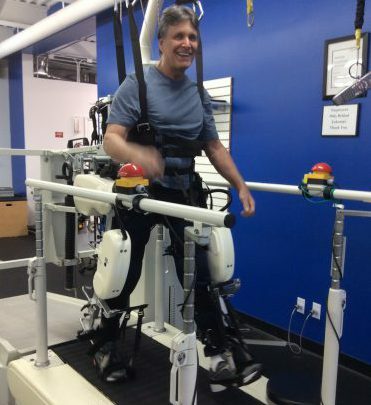 The Center is equipped with a Locomat® and other specialized equipment, along with a fitness program geared toward spinal cord injury survivors—their mobility results far surpass any other program or facility in our area. ...But How Would We Pay for It? There was a downside to this incredible fitness program: the cost. The program is not covered by insurance, and it costs us $3,395 every month to participate. We needed to fundraise, and we needed to do so successfully. We heard about Help Hope Live, and quickly realized it was our best choice. Thanks to fundraising, the program has been able to work wonders for Bill both physically and mentally. 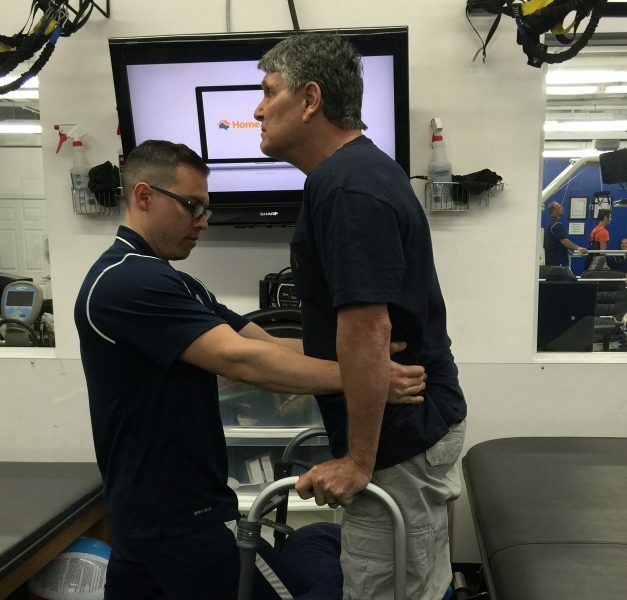 Upper body strength can be essential to rebuilding your life after a spinal cord injury. Bill gets stronger every day in addition to gaining core strength, range of motion, and flexibility. His core is so strong that even without any feeling below his navel, he can actually crawl across a mat on the floor, pulling his hips forward with his core alone. He can do this for up to six 24-foot laps. It’s amazing. Bill is so relieved that he has not suffered atrophy of his lower back, which may have been inevitable without this kind of program. And the stronger and more advanced Bill becomes, the easier his care becomes for me. Then there’s the emotional and mental aspect: Bill immediately began to enjoy the camaraderie that was a byproduct of his enrollment. Being paraplegic is tough. Being paraplegic in a room filled with quadriplegics made Bill realize he was one of the luckiest guys in the room. The gift of perspective. 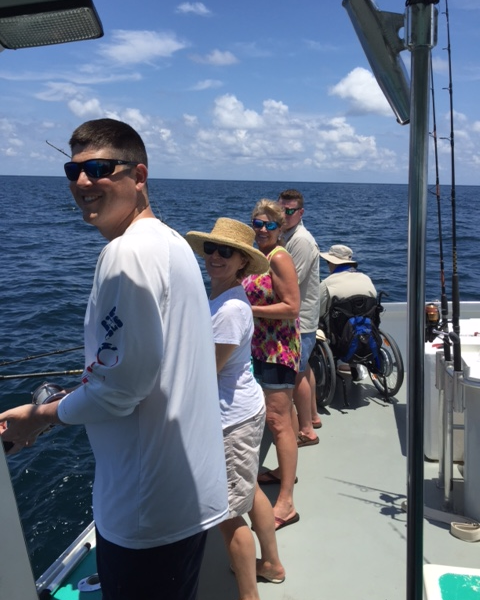 Ultimately, a spinal cord injury brings about many changes in a family that most people never think of and wouldn’t want to. It’s astounding how physically demanding it is to care for an adult human being. It is a constant battle to prevent injury while caring for Bill. That is another reason why his continued participation in this program is essential. Our next goal as we fundraise for Help Hope Live is to replace our relic of an accessible van. I need the security of a safe and reliable way to transport my husband. I am nervous whenever we go out for short, essential trips in the van we have. I don’t trust that we won’t break down or be stranded while we wait for assistance; we could wait for hours. All we need to do is purchase a new van, and our local vocational rehab center will convert it for us. My advice for someone who has recently become a caregiver would be that acceptance is key. So many things come at you so quickly that you learn to accept them and move forward. It was a huge life change, and it’s too big a shift to spend time, energy, and emotion on every big or little thing. Accept help. Ask for help. Tell people HOW to help. Love yourself. People will advise you to take care of yourself, but in the early days, sometimes you just can’t. Just know that you’ll catch up over time. In the meantime, try to love yourself and your loved one enough to keep pushing forward. It’s easy to lose yourself as a caregiver. Don’t! Challenge yourself to make a good life. Grieve your losses but count your blessings. Have confidence in your instincts and abilities. Go ahead and scream once in a while, then just start moving forward again. It’s hard, but you will become a pro. Then you’ll help someone else who is new and needs what you have to offer. And that’s when you’ll know you’ve made real progress. See videos, pictures, and updates from Bill and Jeanne at helphopelive.org. Thanks for celebrating National Mobility Awareness Month with us all month long here on our blog.